Is a Crewed Luxury Yacht Charter in Croatia Your Next Holiday? Fancy a genuine luxury holiday experience? A luxury crewed yacht charter in Croatia may be just the thing you are after. 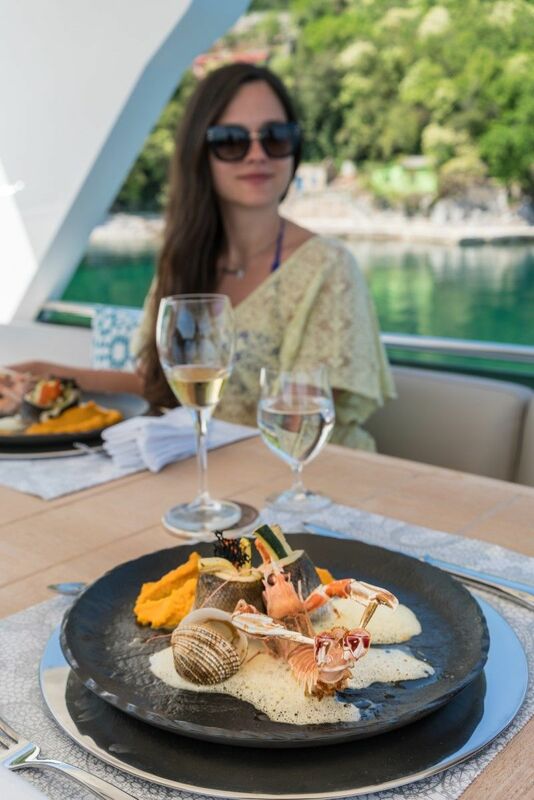 If you are looking for something a bit special, a holiday that will allow you to unwind, relax and experience the best a country has to offer, then a luxury crewed yacht charter in Croatia could be just your thing. This is a unique cruising experience, a leisurely and unrivalled way to explore the Adriatic. With attentive crew, you’ll enjoy an exceptional level of service and on a luxury yacht – your every comfort and desire will be met. Think roaming 5-star hotel, minus the crowds and with some of the best views in the world – waking up to your own piece of the Adriatic every morning. While many love the idea of chartering a bareboat, if you are not a passionate sailor and are truly after a relaxing holiday, then chartering with crew is the best option. In fact, more often than not, the secret to a memorable charter is not just the yacht, it is the crew. This is coming from someone who has personally crewed on many luxury yachts; I know firsthand, the difference a professional crew can make to your experience as well as the comfort that these sorts of yachts provide. The devil is in the details; while your Captain is there to get you safely from A to B, and your hostess or cook are there to meet your every need – drinks, superb food… It is the extra 10% that will stay with you, like genuine local recommendations and a desire from the crew to ensure they curate a holiday that suits you because a holiday isn’t a ‘one-size-fits-all’ scenario. The style of your holiday is completely up to you, whether you are more interested in nature and being off-the-beaten-path or you want to be active and find all the ‘hot spots’. 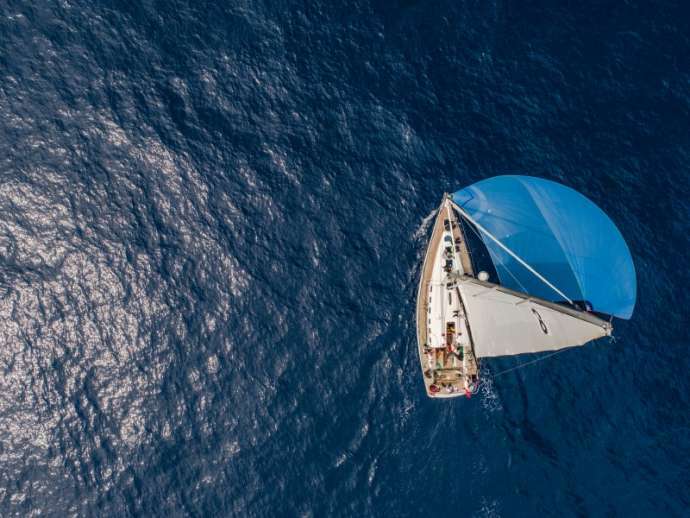 And when it comes to sailing, you can either relax and simply gaze up at the sails beneath the blue sky or you can get involved and maybe even learn new skills or discover a dormant passion thanks to your crew. 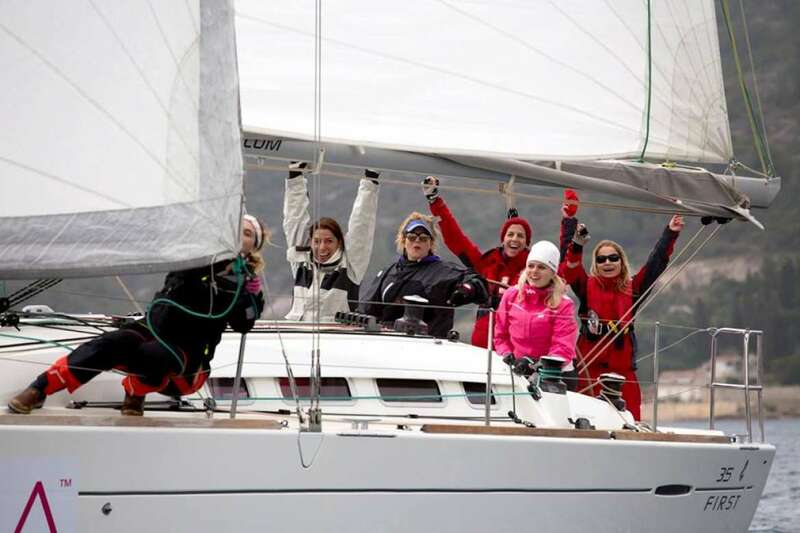 Large sailing boats and luxury motor yachts can be chartered with a permanent crew. 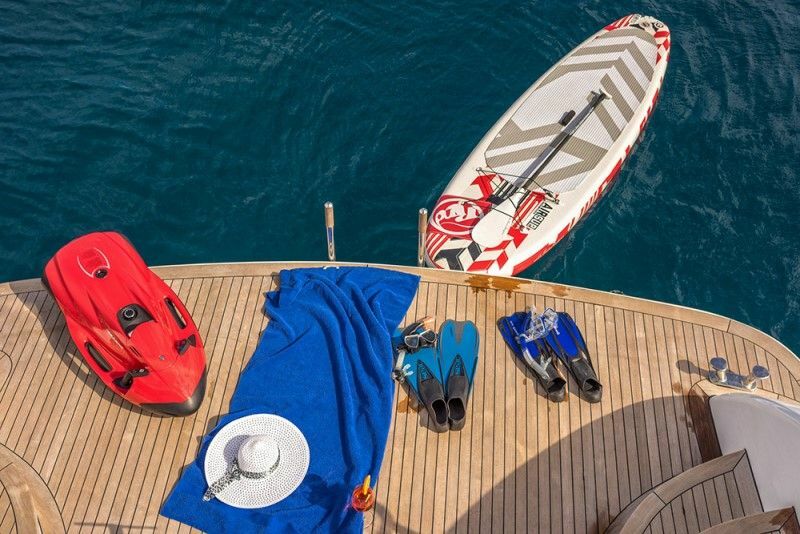 These yachts are usually more luxurious than bareboats and equipped with everything for your leisure and activities, like – a tender for water skiing, snorkelling equipment, kayaks… these are just some of the toys that are at your disposal all the time. With hundreds of luxury boats to choose from, we wanted to introduce you to a charter company who offer such yachts in their fleet, as well as professional crew. 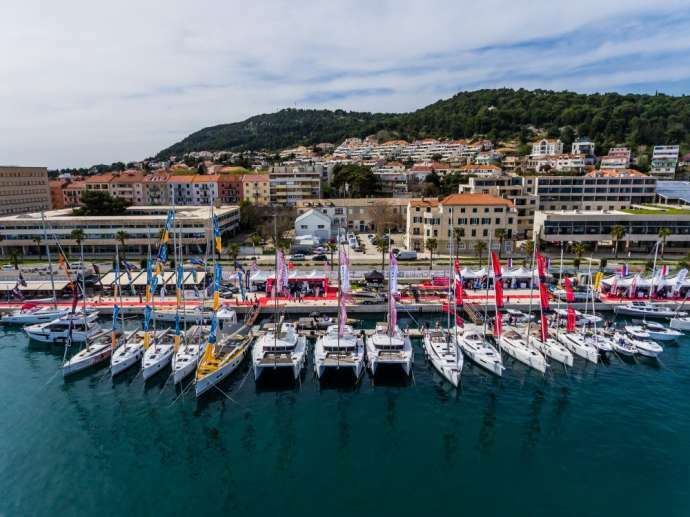 Croatia Yachting Charter have been in operation since 2003 and won Croatian Charter Company of the year in 2017, they are renowned for their service, professionalism and their wide offer of yachts. 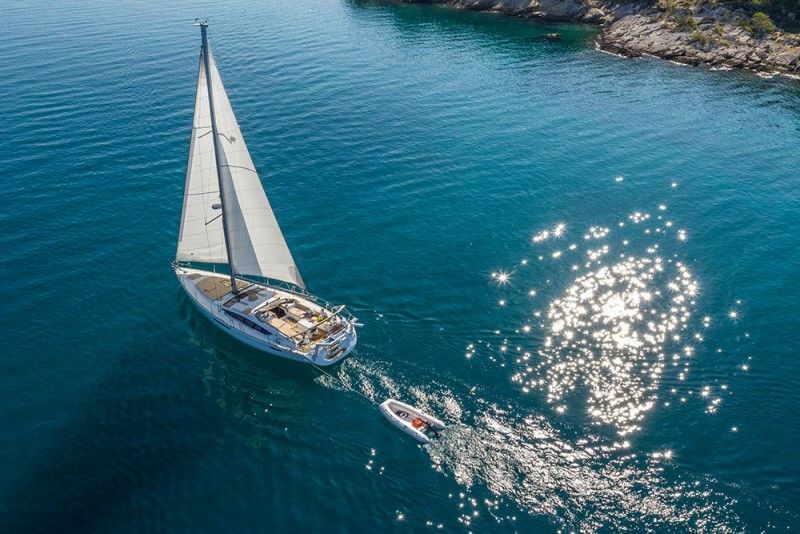 As well as being the exclusive dealers for Hanse Yachts and Bali Catamarans in Croatia and chartering many bareboats, Croatia Yachting also offer a selection of luxury yachts. So, what do we mean when we say luxury yachts and what can you expect? Well, every yacht varies in size, details, design and of course, budget; it also depends whether you want a sailing or motor yacht. For example, in the Croatia Yachting fleet they have luxury motor yachts such as Princess 82 and the Maiora 20. Maiora 20 ‘Hope I’ is a good example of a luxury motor yacht at a reasonable price, an elegant yacht which combines classic lines with a definitive sporty edge. The fly bridge is a standout feature and most likely where guests will spend most of their time – relaxing on the sun beds, in the open air. The lengthened transom allows guests direct access to the sea, to sit and enjoy with their feet in the water or dive straight in. Water toys, like snorkel equipment and a Sea Bob will also add adventure and a whole lot of fun to your holiday. Maiora 20 has a comfortable lounge area, complete with sofas, a coffee table and tv for when you just want to chill a little. With no wall separating the dining area from the saloon, the open-plan design allows for a nice flow between the spaces. Bedrooms are also spacious and well-designed, which allows them to be somewhere you are happy to retire and relax, rather than just a place to sleep. But this yacht is more than mere beauty and lets you get the most out of your holiday if you are keen on seeing everything the Dalmatian coast has to offer; her technical details allow a cruising speed of 25 knots and maximum speed of 30 knots! 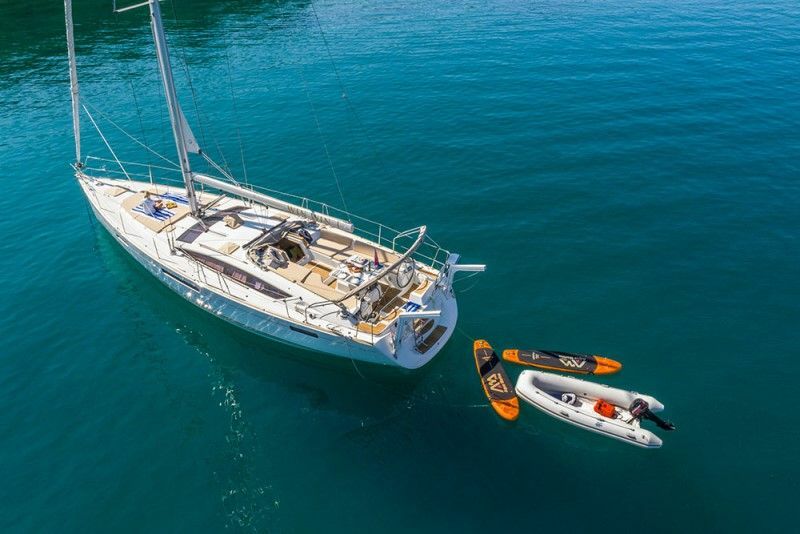 Maiora 20, costs around 21 – 27,000 € for a 7-day charter depending on the period. 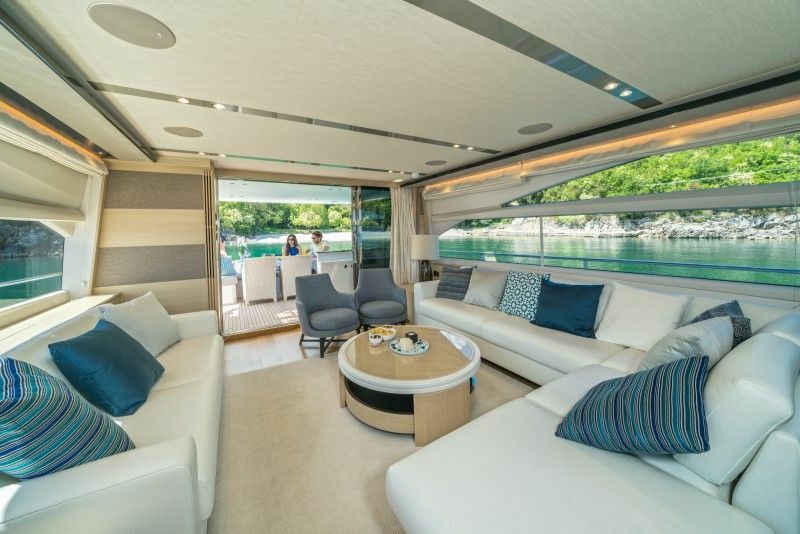 Inside, there is an abundance of natural light and space with windows that stretch along the entire length of the main deck saloon. The saloon is a warm, open space with a complete lounge suite and coffee table, perfect for relaxing out of the afternoon sun. It has a very homely atmosphere and I am sure this is exactly how guests feel during their 7-day charter. 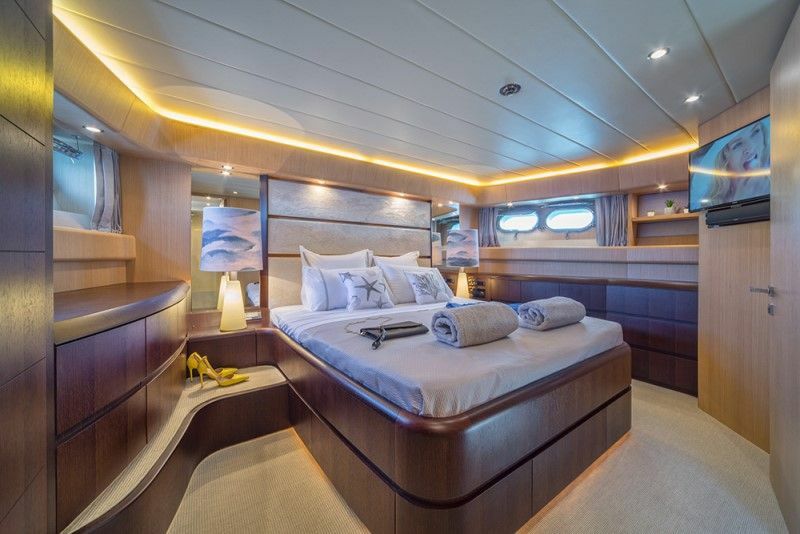 The Princess 82 has a full-beam master cabin with a large en suite and walk-in wardrobe, plus three more beautifully-appointed en suite cabins. 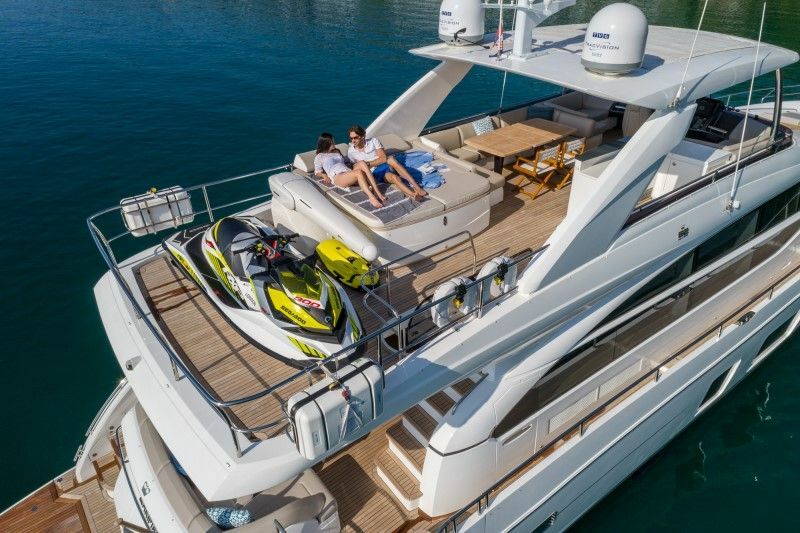 As with all of the other yachts, the Princess 82 comes with a host of water toys to play with, including a Sea Bob and jet ski for ultimate enjoyment of the Adriatic. This motor yacht is at the higher-end of the spectrum when it comes to pricing, approximately 37 – 49,000 € depending on the period booked. Then you have the Janneau 53, Win Win, with a full time crew and an abundance of extras and water toys included. It suits people who are interested in hoisting the sails but also want the comfort and elegance that a sailing yacht offers. 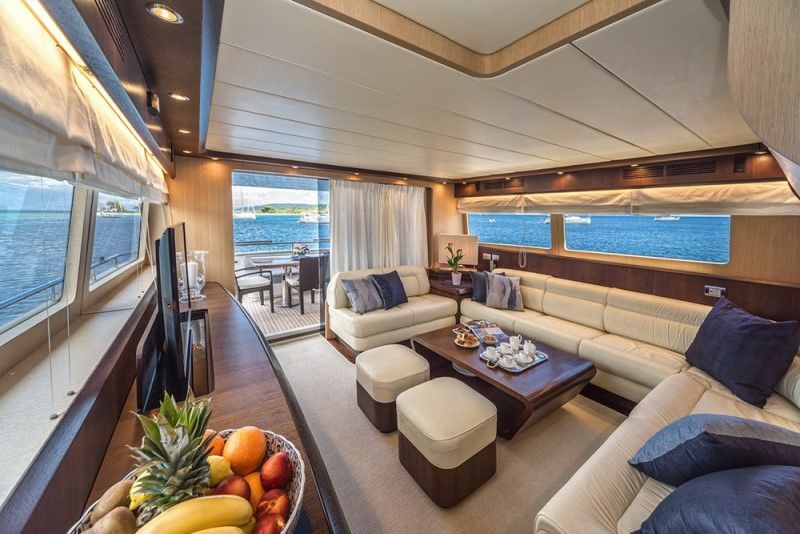 It has a spacious cockpit perfect for ‘al fresco’ dining, forward sundeck, large en-suite cabins and beautifully designed interior and saloon. You could always choose another yacht from their fleet, for example the luxurious Hanse 548 or the Hanse 588 and request a crew for your holiday. 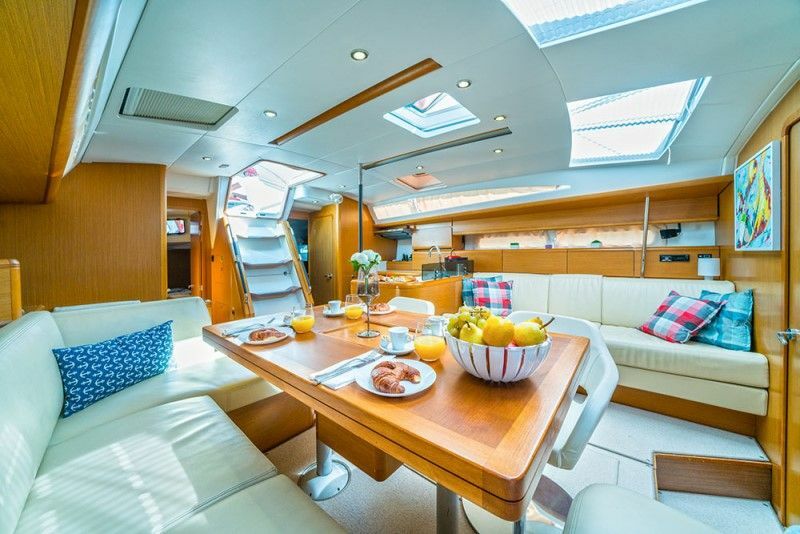 The Hanse 548 has a large VIP cabin at the stern that will spoil even the most demanding guests. These yachts are affordable luxury, chartering for up to €10.000 in peak-season. As you can see, there are a range of luxury yachts on offer which suit all needs, as well as budget. I have no doubt that chartering a crewed luxury yacht, will be one of your most memorable travel experiences. For more information on the many different yachts available for charter, you can visit the Croatia Yachting website here.